My husband loves ginkgo trees. We both marvel at their golden color in autumn. I love their leaves that look like little fans. When we lost our oak tree this year, we wondered what to plant in its place. 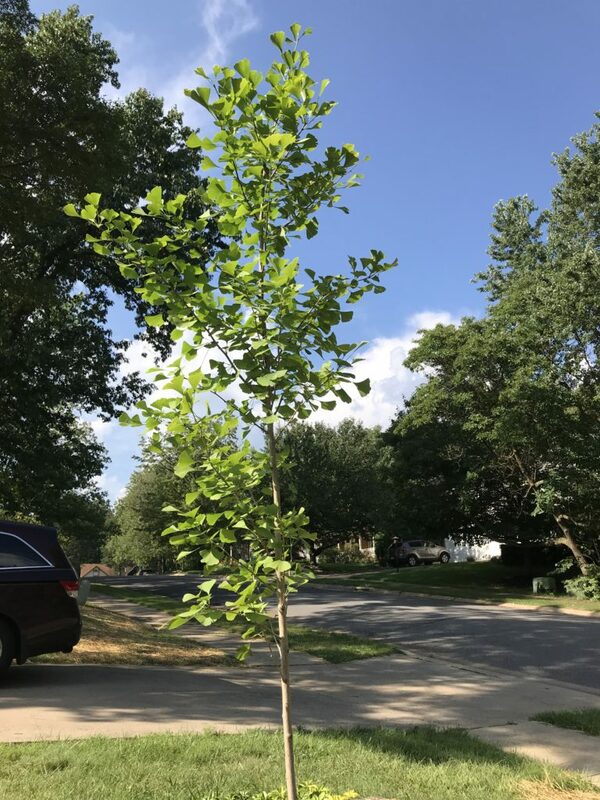 Today, my husband planted this marvelous little tree. It will grow at least a foot a year, maybe up to 50-80 feet one day. I’ll be long gone by then, but this tree will stay. Other people will view the beautiful autumn leaves and perhaps think how one day, someone must have planted this little tree.